These solid aluminum plates are designed for machine or hand engraving and will show a brilliant silver color under the black surface. 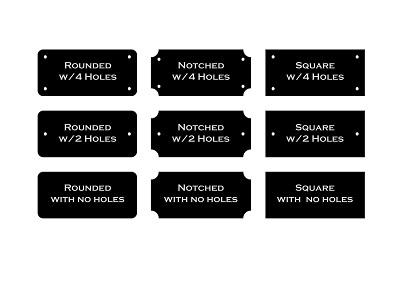 These brass plates can be used for a variety of purposes from nameplates to desk or door plates to plaques and awards. Other uses are dog tags, jewelry, and artwork.